When you think of pop art, your mind’s eye probably conjures up images of huge, colourful paintings of popular culture references (here’s looking at you, Andy Warhol). Although it seems simple at first, creating pop art involves using various interesting techniques. 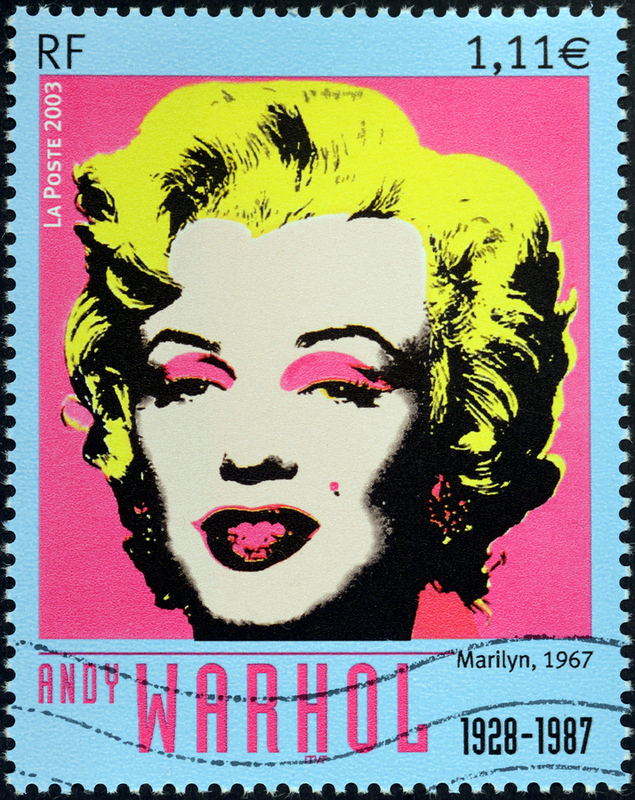 The pop art movement emerged in 1950s Britain and quickly gained traction in many countries. Several artists at the time wanted to challenge elitist attitudes in the art community, and they were especially frustrated with Abstract Expressionism, the dominant movement of that period. People like Roy Lichtenstein started using everyday artefacts in their work, proving that art can be made from even the most mundane objects. Pop art still resonates with people today, and the iconic styles can be found in advertising and product packaging. Fancy creating some pop art of your own? Give these pop art techniques a go. A key philosophy of the pop art movement is that the subject of the artwork must be inspired by day-to-day life. It should be something instantly recognisable from popular culture, whether it’s a TV show, movie, advert, product, trend or even a person. 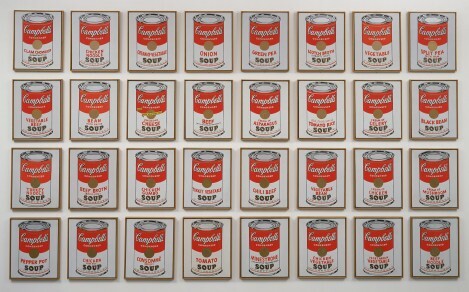 Andy Warhol was well known for featuring Marilyn Monroe in his works, as well as products he used (such as Campbell’s Soup). The sculptor Claes Oldenburg took this to the next level and re-created a toilet. You may not want to go that far, but the idea is to demonstrate that fine art can be created with ordinary things. Pop artists famously removed elements of popular culture from their original context when using them in their work. Rather than simply replicating something, they’d put their own twist on it and offer some social commentary. Warhol particularly liked to point fun at the materialistic society in which he lived, drawing attention to the rise of commercialism in post-World War 2 society. You can go about this technique in a number of ways. 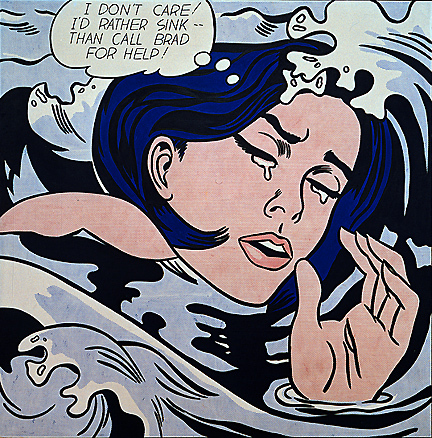 For example, when Roy Lichtenstein used DC comic strips in his art, he isolated a single scene or character from its wider context. In paintings like The Drowning Girl, he created drama, evoked emotion and invited viewers to invent their own narratives based on what they saw in the painting. Making collages of popular culture references is another method used by artists like Robert Rauschenberg, who produced the Combine series. This involved creating collages that included various artefacts and people that were relevant at the time, often combining multiple mediums in one piece. You can also enlarge elements to manipulate their context. One of the most famous examples of this is Warhol’s large canvas of Marilyn Monroe he made after she died. A recognisable aspect of pop art is the range of eye-catching colours used. Many artists like Warhol and Lichtenstein liked vibrant shades, often primary colours, that were commonly found in popular culture and advertising. With modern technology, you have endless shades at your disposal, so feel free to experiment with bright, bold and beautiful colours that jump off the canvas. You may have noticed that humour is another key ingredient of pop art. Don’t just copy what you see: re-create it in your own way, and say something about it. Use the subject matter to make a statement about what’s going on in the world today, from Donald Trump’s antics to people’s obsession with taking pictures of their food. There are endless trends and fads for you to poke fun at, so you’ll never be short of material. Pop art is a timeless style that can be adapted in modern and unique ways, so have fun!